A court in the Netherlands has told Ryanair pilots that they can join a wave of strike action planned across Europe for this Friday. The Dutch pilots will now join their colleagues in Ireland, Sweden, Germany and Belgium in the 24-hour work stoppage. Ryanair had applied to the Haarlem District Court in the Netherlands for a court order to halt the industrial action. However, Judge Theo Roell said this evening: "The strike may go ahead." Ryanair pilots in the Netherlands announced on Wednesday that they were joining the European-wide walkout on Friday to ratchet up pressure on the airline in a row over pay and conditions at the height of the summer season. Germany will be the worst hit with 250 flight cancellations. In the Netherlands around 22 flights from Eindhoven airport could potentially be affected, the ANP news agency reported. The airline has been grappling with staff unrest since it recognised trade unions for the first time in December 2017, in a bid to ward off widespread strikes over the Christmas period. 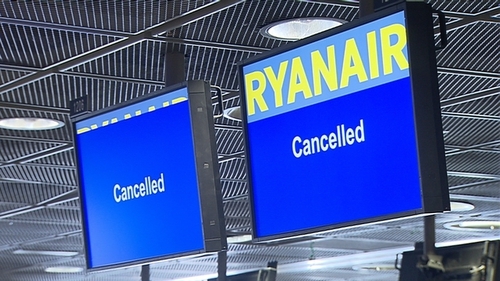 In a statement this evening, Ryanair said that despite what it called the ‘regrettable and unjustified’ strike action taking place in 5 of its 37 markets on Friday, over 85% of its schedule will operate as normal tomorrow. Ryanair said it took every step to minimise the disruption to passengers and customers were notified as early as possible. The majority of customers affected have already been re-accommodated on another Ryanair flight. Ryanair urged the unions to continue negotiations instead of calling any further strike action.